love Legos and the benefit they have for helping kids with imagination...my nephew and some friends kids love Legos..one of my friends kids use them to make still motion videos(i think thats what the call them). I hate the push of the "build this thing with specific parts that you can't use for anything else" kits lately. My nephew has a ton of these, he just builds whatever it is and puts it on a shelf. Half of the pieces could never be used unless you were building exactly what you're supposed to build. If I gave him the tub of random legos my brother and I had growing up I doubt he'd be able to come up with anything. I even looked a few years ago, there was nowhere on the lego site to buy buckets of random bulk pieces. Hell, we used to build box cars that we could stand on just to ram into each other to see which one busted up. Greg, I see what you're saying with lots of the theme specific kits - however, the larger Lego brand stores (including the ones at Legoland) have parts bins where you can get bulk quantities of all the basic shapes/etc. They even sell kits that aren't anything but a whole bunch of blocks/plates. In fact, the box says "Ages 4-99". I guess if you're 100, you're SOL. I forgot to mention, the boys have this train table type thing for their wooden Thomas train sets. We just recently bought several 15" Lego base plates for it and glued them on to the table. Now it's a nice Lego table. We've seen some bulk kits lately when looking in stores, my daughter calls it free building! My son loves Legos, they really are his favorite toy. He has all those put this together this way sets and leaves them in one piece for about 2 weeks then he does his own thing with them. He's so good that he recently broke his arm and only has the use of one right now and has been putting them together one handed. Driver: Big Bertha Alpha 815 w/PX LZ Handcrafted. My daughter loves Legos! The last few years, I have traveled, on business, to Denmark a number of times, so was able to pick-up some of the packages that girls gravitate towards, before they were released in the US. Paid way too much, but was worth every penny watching her go through the build, in sometimes painstaking detail. Oh, and I did indeed enjoy Legos as a kid. Many, many hours spent building things that probably weren't really "things" except in my imagination. 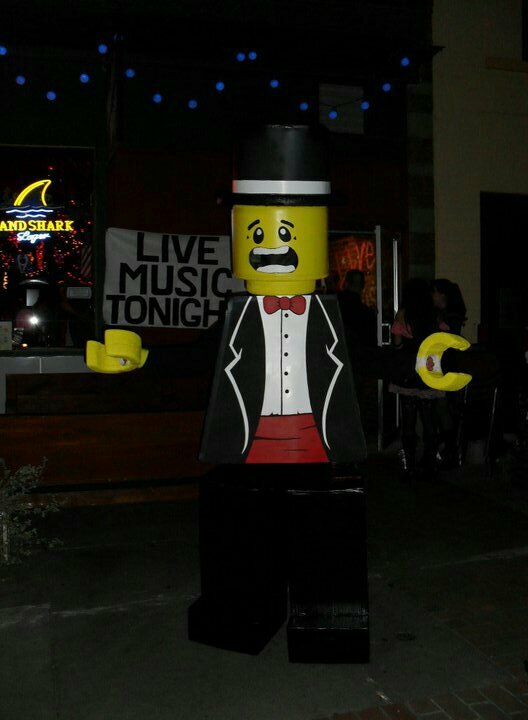 I may be grown up, but I'm still a kid at heart when it comes to Legos. The wife and I have both always been into them and have actually gone as far as using builds as decor around our house. 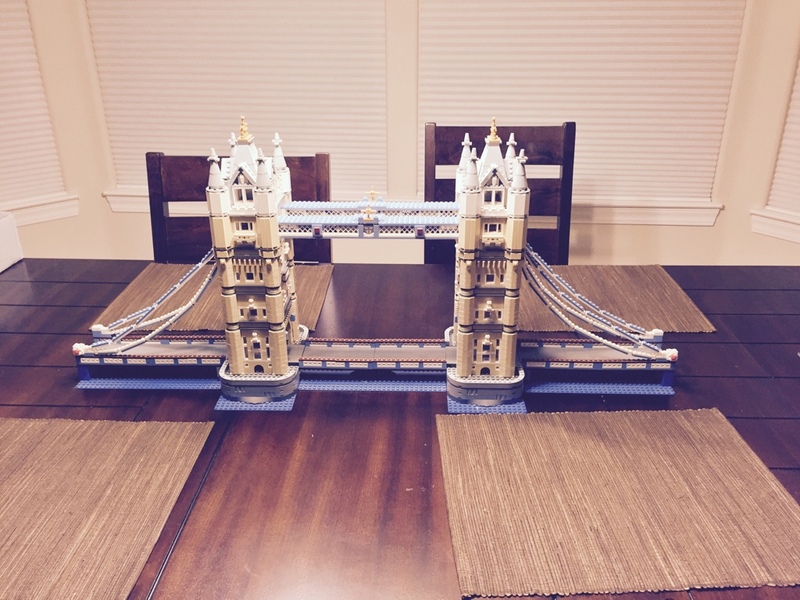 Here is a pic I snapped real quick of our dinner table with the London bridge on it. I'll try and get a few more photos of the other layouts when I get some time. Cool thread . Took my son to Lego land for his birthday and had a blast . We were both deemed master builders and we both love the Lego video games as well. Frustrating to play for old dad but than I just sit back and let my 4 year old figure the games out. Never knew anything about Legos until I turned 40 . All of mine and my brothers Lego was donated to a charity shop nice we had both left home. Star Wars figures, hmm these I assumed were all in the loft at my Mum's place. I saw a load of them for crazy money several years ago in a second hand toy shop. I asked my Mum where all of ours were and then found out my younger brother had claimed them when he had no money to go out drinking and sold them. I200 4-PW AWT 2.0 SR.
Vokey SM6 50F, 54S, 58K. I collect the Star Wars Legos. Currently building an AT-AT right now. I'll most likely get Vader or the Fett if the price is palatable.